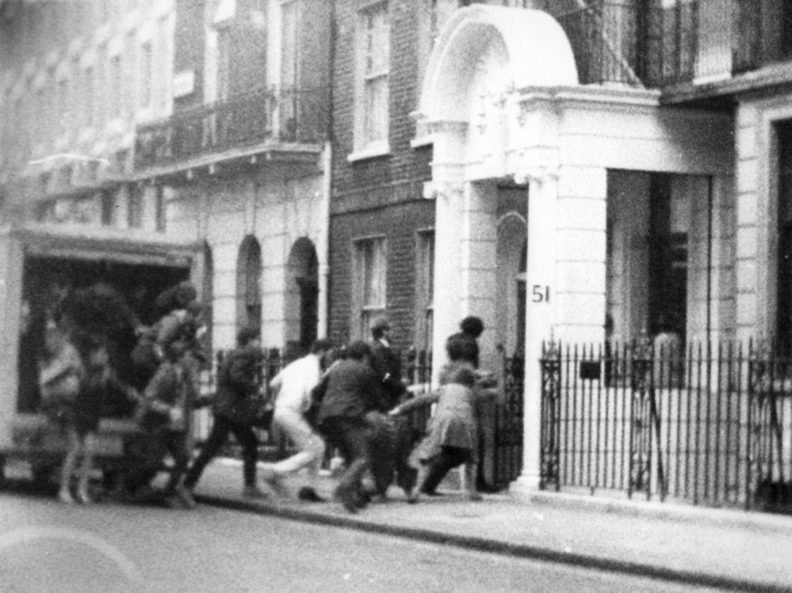 On the evening of 28 April 1967 a removal van pulled up outside the Greek Embassy in London’s Upper Brook Street. Two women carrying daffodils knocked; the door opened. From the back of the van 50 demonstrators jumped out and ran inside. We were mainly supporters of the Committee of 100, the non-violent direct action peace organisation, or London School of Economics students. We spread through the building, careful not to damage anything. We were carried into police vans without resisting. One vanload escaped when they saw the door was unlocked and no officer in the back. Forty-two were charged with ‘affray’ and ‘threatening behaviour’, and Terry Chandler with assaulting a policeman. A month later more serious charges were substituted: riotous assembly and forcible entry, the latter dropped at committal proceedings along with all charges against one defendant who had been outside the embassy. At the Old Bailey we were faced with a plea bargain and, after much argument, agreed we would all plead guilty to unlawful assembly – like riot but without the violence – so ‘conspiracy to trespass’ and Terry’s alleged assault would be dropped. Without any evidence, Justice Widgery picked out ‘ringleaders’ by their previous convictions: Terry got 15 months, Michael Randle 12, and Del Foley six, 12 of us were fined and the rest conditionally discharged. The occupation demonstrated opposition to the Coup on the very day the Labour Government recognised the Colonels’ regime. In Greece political prisoners and others heard about and took heart from this act of international solidarity. With support from Anti-fascist Action for Greece (AAfG). Never Again to Fascism in Europe! 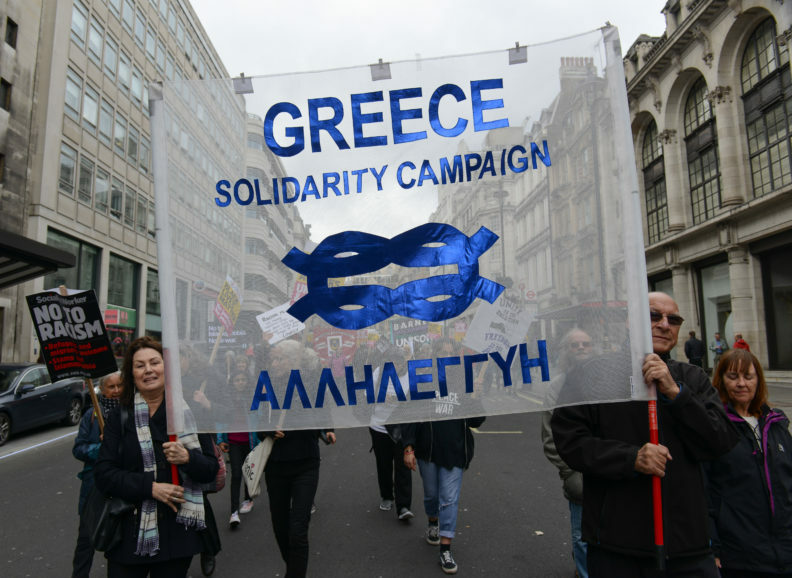 Note: between 4pm and 6pm there will be a separate but related event: a reunion for the LSE students and Committee of 100 activists remembering their occupation of the Greek Embassy in London in opposition to the Greek Colonels dictatorship in 1967. There will still remain an olive tree, a grape vine and a boat.